Unhappy with delays and rejection, farmers covered in crop insurance scheme (PMFBY) drop by 14% and coverage area plummets 20%. 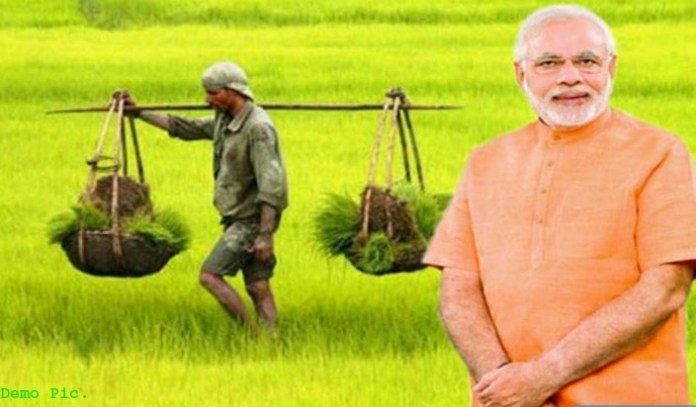 In line with various faltering schemes of PM Modi, the much-hyped PM Fasal Bima Yojana (PMFBY) is also stuttering just two years after its launch in 2015-16. The number of farmers who chose to get insurance coverage for potential crop damage declined by as many as 74 lakh in 2017-18 compared to 2016-17, or about 14%. The gross cropped area covered by PMFBY too declined from 59.55 million hectares in 2016-17 to 47.5 million hectares in 2017-18, a drop of over 20%. The scheme’s target of covering 50% of India’s gross cropped area of 198.4 million hectares by 2018-19 seems a distant dream now because this year’s coverage is down to just 24% of the cropped area. The ambitious scheme, touted by the govt. as a one-shot solution to farmers’ woes, was allocated a whopping Rs 13,000 crore in the Budget for 2018-19 presented earlier this year. This was up 44% from the previous year’s allocation of Rs. 9000 crore. So why has this programme failed? It is primarily because of the very model that the business-friendly Modi govt. adopted for crop insurance. It involved 13 private sector and five public sector insurance companies in providing the insurance cover. These companies were – naturally – looking to cut costs so that profits can be boosted. And, how do you cut costs? By sabotaging the farmers’ claims about crop damage. Reports indicate that damage claims were being verified through a lengthy process involving representatives of companies and district level govt. officials who would conduct crop cutting experiments (CCEs) to assess typical damage in a district. These activities were delayed and scuttled repeatedly, and insurance companies raised objections to claims filed by the covered farmers. All this led to enormous delays in payment of compensation aside from the fact that many claims were rejected. "The new scheme permits insurance company representatives to take part in the crop-cutting experiments. We have noticed that they lower the threshold level of the output than the ideal. So farmers cannot claim even if their actual output is low since it will be above the threshold limit," an official of a state agriculture department said, requesting anonymity. For farmers, delay in compensation or a lowered calculation of loss is fatal. He/she needs to pay all the people from whom inputs like fertilisers, pesticides or seeds were bought on credit, besides meeting other expenses. Rejection or delay in payment of compensation is unacceptable because it puts the farmer back to the situation of borrowing from money lenders etc. But, this scheme was actually not about farmers, much as Modi and his colleagues may want the public to believe. The other player in this scheme – the real player, some would say – were the insurance companies. They got premium payments at low rates from the farmers and the balance premium was handed over to them by the central and state govts. That’s where those Rs.13,000 crore allocated under the scheme this year are going to end up – in the insurance company’s coffers. In 2016-17, insurance companies received total premium worth a breath-taking Rs.22,167 crore. Farmers’ contribution in this was Rs.4374 crore or about 20%. The balance of about Rs.17,791 crore was directly transferred by central and state govts. to insurance companies. And, what did the companies pay out as compensation? A measly Rs.12,398 crore. So, the companies ended up with a profit of nearly Rs.10,000 crore. These figures were revealed by the minister of state for agriculture, Purushottam Rupala in the Rajya Sabha on 2 February this year in answer to a question. Figures for 2017-18 are not yet out but going by what happened in the previous year, you can expect a similar showing of super profits by companies and misery for farmers. Small wonder then that farmers are voting with their feet by abandoning this exploitative scheme.